Every year, from November 25th to December 10th, the NATO Association of Canada is proud to participate in the 16 Days of Activism Against Gender-Based Violence Campaign. This campaign highlights the need to address the violence that women face at all levels and in all arenas. This year, the focus is on ending gender-based violence in the workplace. This campaign provides a platform for raising awareness and it provides a forum for discussing strategies on how to effectively tackle this issue. 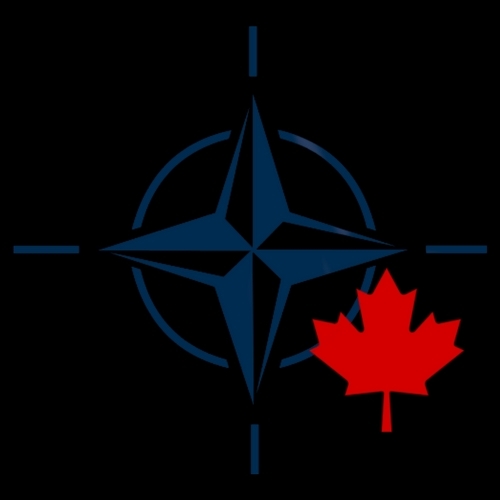 The NATO Association of Canada has compiled a series of interviews of some of Canada’s most high-profile women who discuss how to implement best practices in the workplace as well as the role women play in leadership positions. Lieutenant General Chris Whitecross enrolled in the Canadian Forces in 1982, joining the Canadian Military Engineers. Successive postings have taken her from Germany to almost every province in Canada, notably to undertake a range of staff duties such as those of A4 Airfield Engineering Operations at 1 Canadian Air Division, Winnipeg; Executive Assistant to the Chief of the Air Staff at National Defence Headquarters, Ottawa; Director of Infrastructure and Environment Corporate Services for the Assistant Deputy Minister (Infrastructure and Environment); Joint Engineer, Canada Command; and Chief of Staff for Assistant Deputy Minister (Infrastructure and Environment). 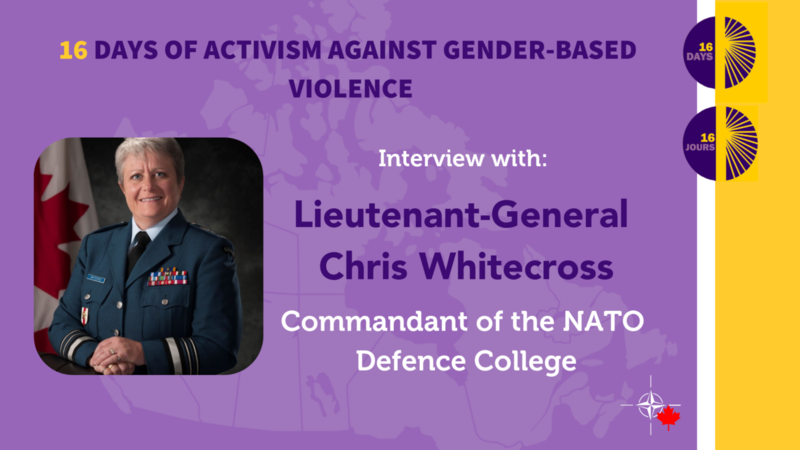 Lieutenant General Whitecross has a Bachelor in Chemical Engineering from Queen’s University and a Masters in Defence Studies from the Royal Military College of Canada. She is also a graduate of the Advanced Military Studies Course and the Command and Staff Course, both conducted at the Canadian Forces College. A Commander of the Order of Military Merit (CMM), she was awarded the United States Defense Meritorious Service Medal for her service at ISAF HQ, and the Canadian Meritorious Service Medal for her service as the International Military Sports Council (CISM) Secretary General. Lieutenant General Whitecross was named one of Canada’s Top 100 Most Powerful Women of 2011, and then again in 2016. Lieutenant General Whitecross was promoted to her current rank on 26 May 2015. In February of that year, she was appointed Commander of the Canadian Forces Strategic Response Team on Sexual Misconduct. In June 2015, she was appointed Commander, Military Personnel Command. Lieutenant General Whitecross assumed her current duties, as Commandant of the NATO Defense College in Rome, Italy, in November 2016. Julia: Given your previous position as Chief of Military Personnel tasked with working on mitigating widespread allegations of sexual abuse in the Canadian military, would you be able to expand on what you think are effective ways to implement best practices in the workplace? Chris: A whole bunch of things come to mind. Whatever we do to effect change needs to be comprehensive. That means there just isn’t a one-trick pony out there. You can look at the really simple things. First of all, when I was chief of military personnel, policies were a big one. You need to look at policies on a gender basis. 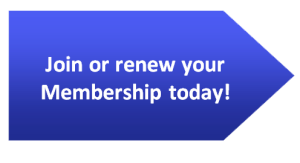 You need to ensure that policies are not unfairly treating certain parts of the population in a negative way, but you also need to update your policies. We are notorious for keeping things that work well to sort of keep them going for years and years, but I think sometimes we need to take a very rigorous look at how our policies were developed, and what was the target audience that the policies were developed for. You know, historically in the military it was the white Anglo-Saxon men and we really need to bring them forward in a far more progressive way. The second thing is, we talk about training, and I think we need a fundamental look at how we train people. And that’s everything from treating people with dignity and respect, bystander training, unconscious bias training, all those sorts of things. The same thing that they were talking about in the policies so that people are aware of how their behaviour and how their words affect other people. So, I think the two of those things kind of go hand in hand. But overall, regardless of what you do, it really needs to be a leadership issue. We need people to take the moral courage to do the right thing. And whether it’s gender integration mainstreaming or whether it’s eradicating sexual misconduct or abusive authority, just treating people with dignity and respect needs to come from all areas. And if we want to recruit and retain quality people, then we need to be quality people as well. So, I think all of those sort of come in line. So, it needs to be quite comprehensive in terms of not just how we’re treating people but how are we constraining our organizations. Julia: What impact do you think an increased number of women in higher positions have on workplaces and society? Chris: To me, that is an easy question to answer but it’s a difficult question to effect. There are boards across the country who still have low representation of women. But ultimately, if you’re not listening or you don’t give access to 50% of the population, how are you assured that, one, that you’re meeting their needs, and secondly, if you’re surrounding yourself by a homogeneous group, how are you assured that your solution sets are going to be the best? I’m always reminded of a political leader out there who had to hire a minister or secretary of a fairly large portfolio and he had seven files to look at. And every file was equally qualified for this post. There were six men and one woman. He picked the woman and the media was all over him and they said, “you picked her because she’s a woman”. And I’m thinking, “please, please don’t say you picked her because she’s a woman”, and he said, “I picked her because she’s a woman”. On the inside I was feeling really bad about it but then he said “because six of them think like me and if I want to create an environment where I’m seeing different perspectives, where I’m seeing the problem set, the challenge, from a different vantage point, I have to surround myself with people who think differently, by people who have different cultures, different religions, different backgrounds, different ethnicities, different languages, different sexual orientations, so that what I’m creating is a group that can come to the problem set with divergent opinions and different opinions”. And what does that give us? A better solution. I think ultimately that’s where we need to be.